New Avant Toi has comfortable, loose weave, sheer linen dusters. Layered over a Shi white button up cotton shirt, it allows the texture and subtle depth in the dye of Avant Toi sheer linen duster show through. 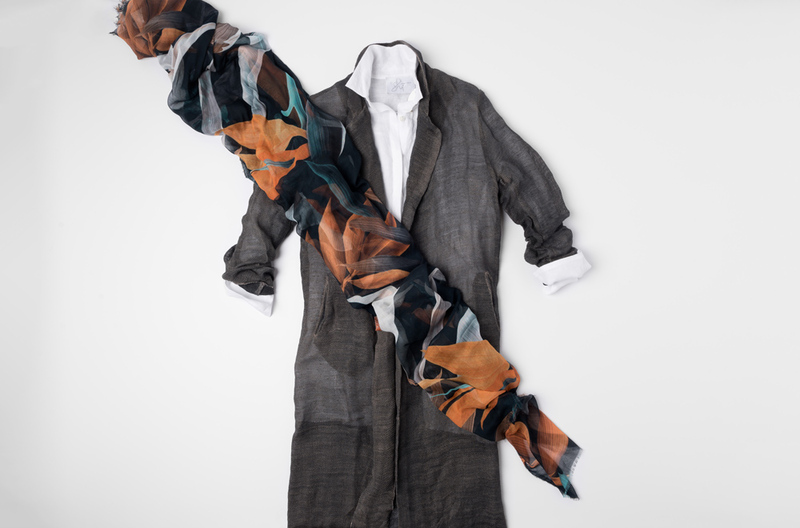 The vibrant and contrasting Som Les Dues scarf with orange and blue leaf print on white finish the outfit for a comfortable yet clean ensemble.